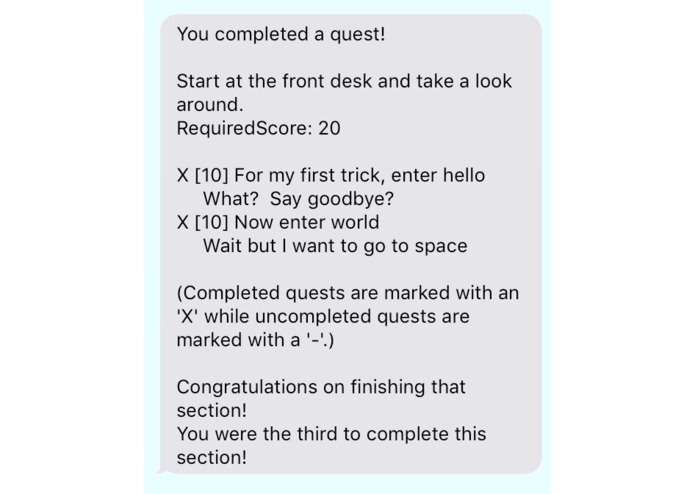 A platform transcendent multiplayer scavenger hunt played through email and sms. Here is an example of playing the game through text. 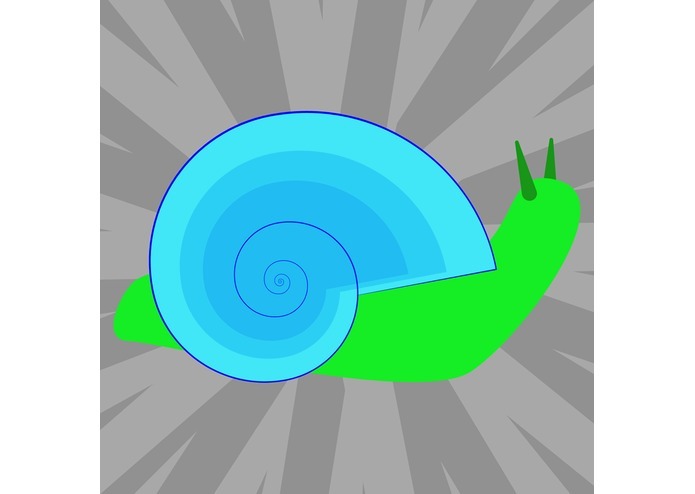 Here is the website where you can go to make your own game. 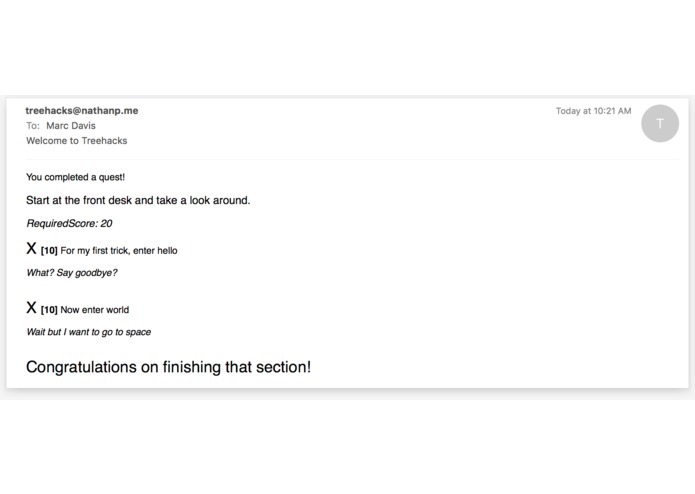 Here is an example of playing the game through email. We wanted to create a multiplayer game that would allow anyone to join and participate freely. We couldn't decide on what platform to build for, so we got the idea to create a game that is so platform independent we could call it platform transcendent.. Since the game is played through email and sms, it can be played on any internet-enabled device, regardless of operating system, age, or capability. You could even participate through a public computer in a library, removing the need to own a device altogether! The game allows user-created scavenger hunts to be uploaded to the server. Then other users can join by emailing the relevant email address or texting commands to our phone number. The user will then be sent instructions on how to play and updates as the game goes on. We have a Microsoft Azure server backend that implements the Twilio and SendGrid APIs. All of our code is written in python. When you send us a text or email, Twilio and SendGrid notify our server which processes the data, updates the server-side persistent records, and replies to the user with new information. 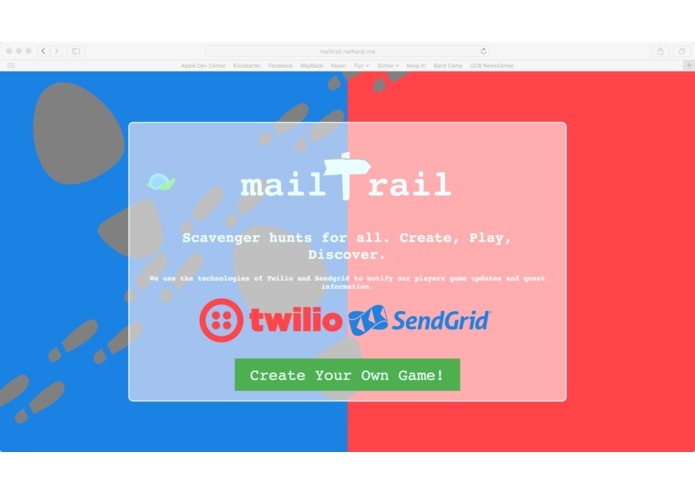 While sending emails is very straightforward with SendGrid and Twilio works well both for inbound and outbound texts, setting up inbound email turned out to be very difficult due to the need to update the mx registry, which takes a long time to propagate. Also debugging all of the game logic. It works! We have a sample game set-up and you could potentially win $5 Amazon Gift Cards! Working with servers is a lot of work! Debugging code on a computer that you don't have direct access to can be quite a hassle. We want to improve and emphasize the ability for users to create their own scavenger hunts. SendGrid and worked on implementing their API. This is my first time writing code for a server so it was a real learning experience for me. I am currently a Physics and CS student at UC Berkeley. I have been writing iPhone apps for over 5 years and have 9 apps in the App Store. I worked a lot on Microsoft Azure and the set up most of the server side of things. I had worked with Twilio a bit before, and used what I knew to push that to Azure, as well as learning a lot about how to deploy to Azure, to my own server at home, and how to manage DNS records and different mail servers.